Akhila Ashokan, the young Kerala woman who converted to Islam and calls herself Hadiya now, is "smiling and safe", the National Commission for Women (NCW) has said. 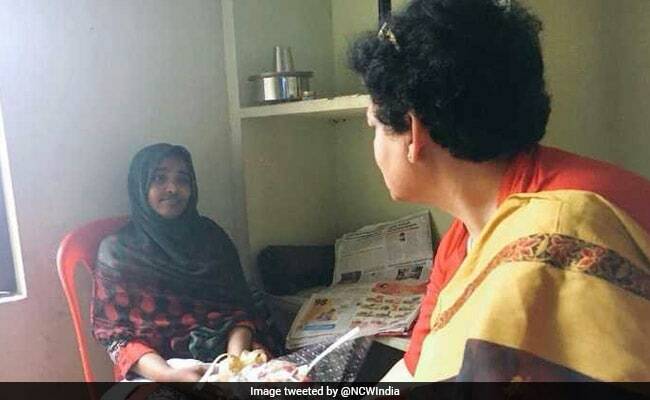 The commission's chief Rekha Sharma today visited the Kottayam home where 24-year-old Hadiya is currently living with her parents, who have alleged that her marriage to a Muslim man is a case of "forced conversion". "I just met Akhila or Hadiya as the NCW was concerned about her well-being. She is in good health, is not being beaten up, she is eating, was smiling and is happy. I cannot tell you what she told me because the case is in court and the court will tell you what it decides. Otherwise her health and security are good," Ms Sharma said after the meeting, sharing a photo of Hadiya holding a bouquet of flowers that the NCW team brought for her. The commission chief, who said she would file a detailed report soon, stressed that the young woman did not report any atrocities or harm done to her during their discussion. She said Hadiya is "waiting for November 27" to appear in court. Last week, the Supreme Court said Hadiya at 24 is an adult and her consent is "prime," ordering her to appear on November 27 to tell judges in open court her version of how and why she married a Muslim man last year. The court is hearing the petition of her husband Shefin Jahan, who moved the top court against a Kerala High Court verdict annulling their marriage on her father's plea and ordering Hadiya to live at her parents' home. Activists who have visited Hadiya reported that she is being confined against her wishes. In a video recorded in August and released recently by activist Rahul Eashwar, Hadiya is heard saying, "Get me out of here. Today or tomorrow, I am going to die. I am sure about this. My father is getting angry, I can make out. He pushes me, stamps at me." 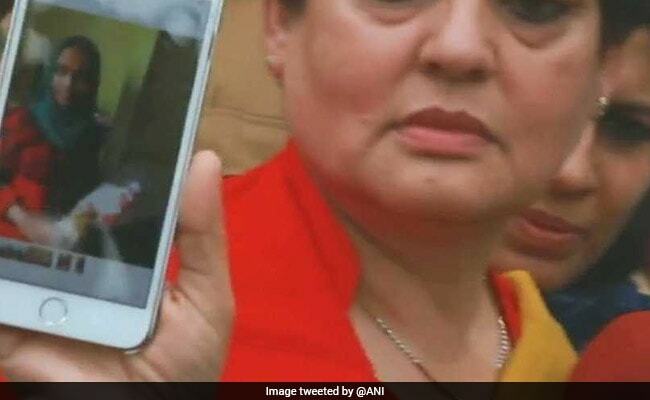 While her parents have dismissed Mr Eashwar's video recordings, saying he betrayed their trust to gain access to the woman and is being used by sections with vested interests against the family, the activist said he will submit them in the Supreme Court. Mr Eashwar has said he does not believe that Hadiya's marriage is a case of "love jihad," in which vulnerable Hindu women are allegedly lured by Muslim men who are agents of terrorist groups. He pointed out that she had already converted to Islam before she met Shehin on an Islamist matrimonial site. Elite agency NIA, which investigates terror cases, has told the Supreme Court that Hadiya's is an example of "psychological kidnapping" and has also cited two criminal cases registered against her husband to argue that the court should not go by her statement. The NIA was asked by the Supreme Court to investigate if there are organised groups attempting to recruit Hindu women as terrorists by getting Muslim men to woo, convert and marry them. The agency told judges last week that it has evidence of nearly 90 "similar cases" of indoctrination and radicalisation in Kerala.